The price of gold changes every day and differs in each city in India. 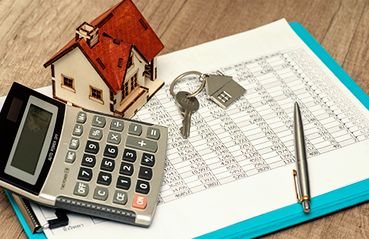 Do you know the factors that affect the change of price? Track the price of gold real time in your city. What causes a change in the price of Gold? Factors such as inflation, stock market volatilities, movement of the US dollar, variation in demand and supply of gold and other global geopolitical factors cause gold price fluctuations. Why is there a difference in price of gold on web and at the jewellery store? The price you see on different websites features the prevailing gold rate that is as per the local association price. And for organised jewellers, this is same as the one mentioned in their retail store. However, in some smaller jewellery stores, the price mentioned could be higher than the gold rate mentioned in the websites due to the addition of transportation costs or jeweller's premium for the same purity level. My jeweller is showing a different price of gold. Who do I trust? Some jewellers add a premium for purity and brand. So, if you are being charged a higher amount, be sure to ascertain the purity of the gold ornament before you pay. Further, if you travel to some small semi-urban/rural city, you may find that the jewellers also quote the price of 22k with GST and non-GST. Where can I check the current gold rates? Visit MyGoldGuide's price page to know the price of gold per gram for 22 and 24 karat gold. You can also check the current gold rates on business news channels, in the market tracker section of newspapers or on verified apps such as Kcast Gold Live or Gold Price Live. 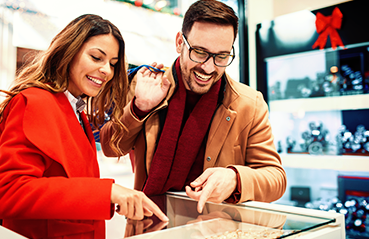 Organised retailers also publish daily gold rates on their website apart from association websites such as http://www.ibja.co/ . How do I distinguish between the gold rate & wastage + making charges? The actual gold price is defined per gram or per 10 gram by exchanges for respective purity levels. This is the amount you pay for the weight of the gold you are buying. Making and wastage charges are calculated separately for every piece of jewellery. 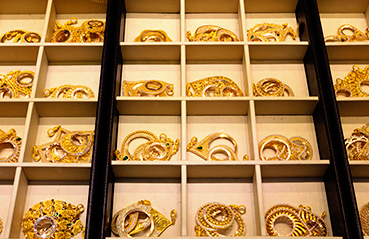 Making charges usually range from 3-25% of the gold price for mass machine-made jewellery. Wastage charges range anywhere between 5-7% of the amount of gold. However, most jewellers show only the making charges on the invoice, and it is inclusive of the wastage charges. 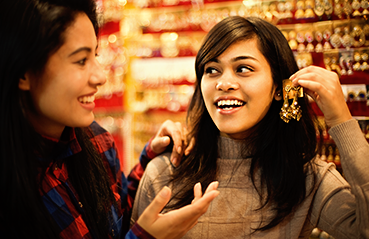 Are making charges different for different jewellery items and even different across shops? Yes, making charges could be different for different designs and shops. This is something you need to ask the jeweller you are buying from. They usually range from 3-25% depending on whether it is mass-machine made jewellery or intricate handmade jewellery. The price is higher for hand-made jewellery. For example, the making charges for machine-made chains can be as low as 3% while it's much higher for temple collection jewellery. How do I check about the buyback terms? Gold buy-back policy is different for each jeweller. This is something you must confirm with your jeweller before making the purchase. LBMA stands for London Bullion Market Association. A global authority for precious metals, LBMA is an over-the-counter market for trading gold. Trade is conducted between members of LBMA (most of which are major international banks or bullion dealers and refiners) and is overseen by the Bank of England. 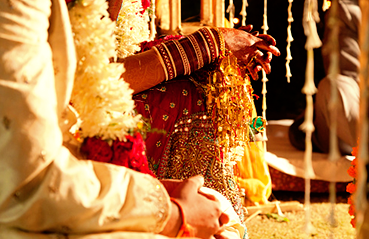 You can sell your old gold jewellery without any constraints on the time period. However, you must check with the retailer about repurchase of old gold both for cash and exchange. How much gold can I legally own? There is no limit (provided you can prove the source of income and produce purchase receipts). Incase you do not have proof’s then in case of tax raid the limit for gold ownership for unmarried women is restricted to 250 grams, for married women it is 500 grams and for men, it is 100 grams. Do I have to pay taxes when I buy gold? What are the tax rates on gold? The only tax applicable on gold is GST, which is fixed at 3% of the value of gold. GST is also applicable on making charges, which is fixed at 5%. The final price of a gold ornament is calculated by including the cost of adding alloys (up to 3% of the value of pure gold), making charges (3-25% of the cost of gold ornament) and wastage charges (5-7% of the cost of gold ornament). How does GST impact gold & gold jewellery price? "1st July 2017 onwards, a standard GST has been applicable on gold jewellery, which is 3% on the value of gold and 5% on the marking charges. Read more about how GST impacted gold prices here: http://www.mygoldguide.in/how-does-gst-affect-gold-prices "
What factors impact the gold price in India? Economic data of large economies such as the US have a short-term impact on gold prices. Variation in demand and supply of gold can lead to longer-term impact on gold prices. 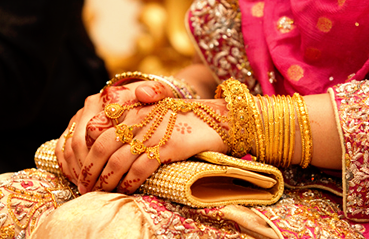 Other factors that cause a change in gold price include inflation, stock market, festive and wedding season and auspicious days. Do sellers base their buying and selling prices on current gold rates? Jewellers base their buying and selling rate based on the one published by local associations. Are the gold prices on My Gold Guide and a jewellery store the same? The gold price you see on My Gold Guide is the base price for gold on a particular day. 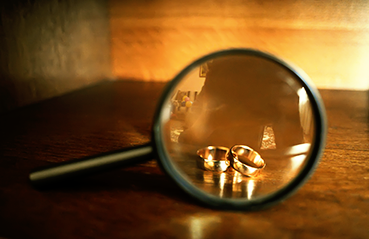 There are several other factors that influence the price of gold jewellery you purchase at a store. This includes the making and wastage charges, cost of adding alloys and/or premium charged by jewellers for purity or brand. Do gold sellers offer a better price if I pay by net banking or cheque versus a credit/debit card? Whether you pay for gold via net banking, cheque or credit/debit card, there is no change in the price of golḍ. However, you will need to pay MDR (Merchant Discount Rate) for credit card and debit card purchases. 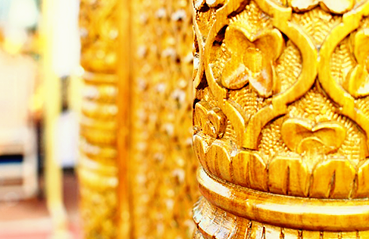 Visit MyGoldGuide's price page to know the price of gold per gram for 22 and 24 karat gold. You can also check the current gold rates on business news channels, in the market tracker section of newspapers, on some websites or on free apps. The 'London Gold Fix' is a globally recognised authority that sets the gold price twice a day. This is the global benchmark, used as a reference price by miners, central banks, jewellers and the financial industry to trade in gold. The Gold Fix was replaced by the LBMA in 1987. Is there a price discount if I buy large quantity of gold? Some jewellers may offer a discount on making charges if you purchase a large quantity of gold from them. This policy, however, varies from jeweller to jeweller. Does gold price for me depend on my method of payment? Gold price is fixed and does not depend on your method of payment. Are prices for gold bars & coins different? The per gram price gold for the same purity is the same regardless of the form. Gold bars are generally available in larger denominations than gold coins and hence are seen as more expensive. However, making charges are levied on gold coins. So, when you sell gold bars, you get back the entire value of gold while making charges are deducted in case of gold coins. How often does the gold price change in a day? Gold price changes as per the spot price. However, it is set by the LBMA (London Bullion Market Association) at 10:30 and 15:00 London BST. Is there a difference in gold price when bought Offline & Online? There is no difference in the price of gold bought online or offline. How to make the most of your unused gold?